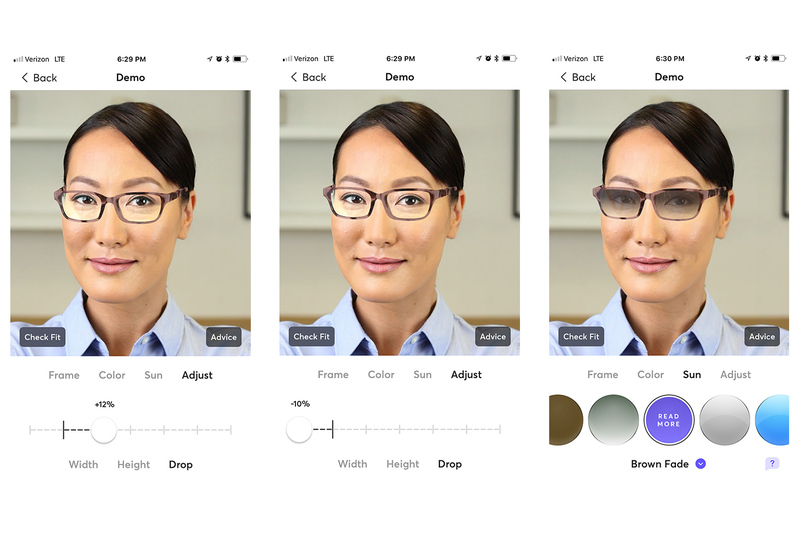 With custom-fit sunglasses now $349, the Topology experience is now more affordable than ever. 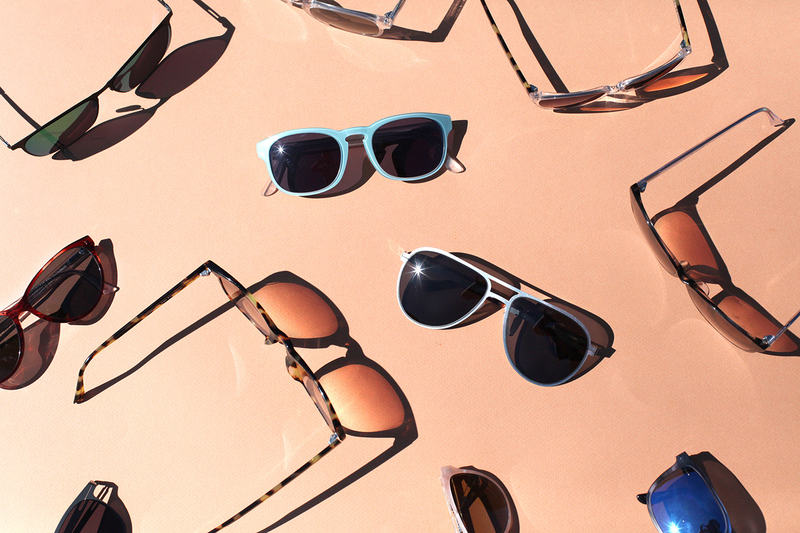 Here's everything you need to know to style your perfect custom sunglasses. Many of the most important, most challenging and most memorable times of our lives happen while we are wearing our sunglasses. Whether driving at high speed, driving a hole in one, scaling half dome or posing for post-wedding photos, our sunglasses are becoming just as precious as our eyeglasses. Topology custom-fit sunglasses are made-to-order, from scratch, only when you place your order. So any design you desire is available, and always with a guaranteed perfect fit. But now that you can suddenly have everything you want, how do you know what to choose? The internet is awash with advice about which frames suit which types of face shape, and we’ve read most of it. 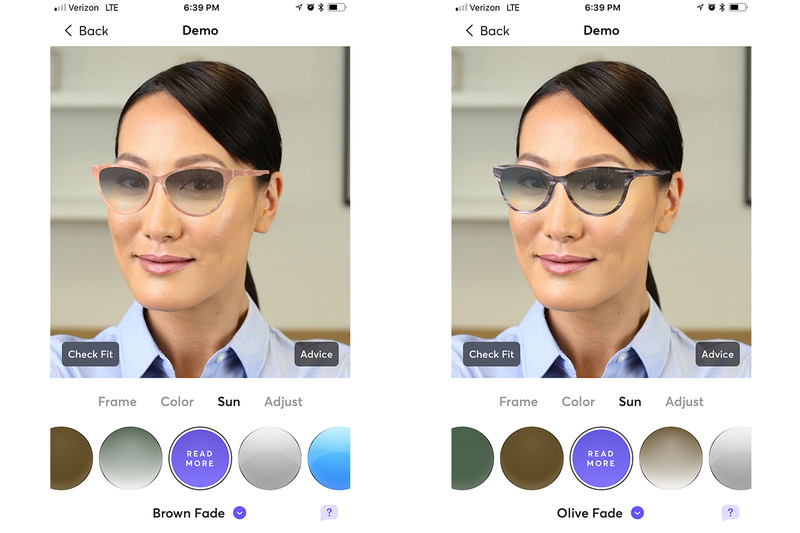 Having now styled thousands of custom pairs for Topology shoppers, we are able to condense what we believe to be the most helpful advice into four points that will get you to your ideal custom sunglasses. 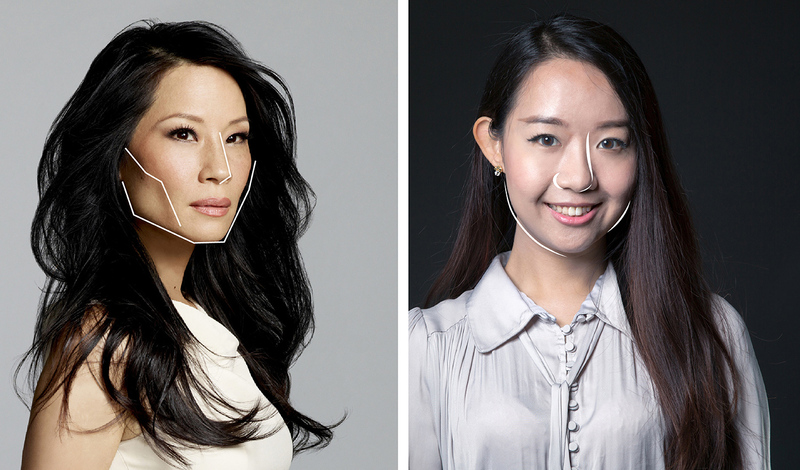 Forget trying to decipher whether your face is heart, diamond or triangle shaped. We love the advice written by blogger The Modest Man in his article about eyewear shapes. In summary, the primary thing you should ask yourself is whether your facial features are sharp, angular and bold, or softer and more rounded? Lucy has sharp features and straighter contours, whereas Scarlett has softer, more rounded features. Straight nose, angular eyebrows, sharp cheekbones, square or pointed jaw or straight, angular beard lines. Contrast and soften your look with rounded frames with soft edges. Bay: Both rounded and accented, looks amazing when oversized. Or, if you think you be neither or both of these…! Choose a style that offers the best of both these worlds, for a guaranteed great match for anyone. Octavia: A classic cat eye, where smooth curves meet at statement upper corners. But remember: These rules are made to be broken! If you like to rock sunglasses at the forefront of fashion, you’ll probably enjoy making trends setting statements by bending and breaking these rules for fun. While opposites attract for contrasting features, the trick for overall proportions is actually to complement your face. Then taller frames like Lombard, Bay or Octavia are a great starting point. Then you’ll want to gravitate to warders a narrower frame like Union, Montgomery, or Dolores. 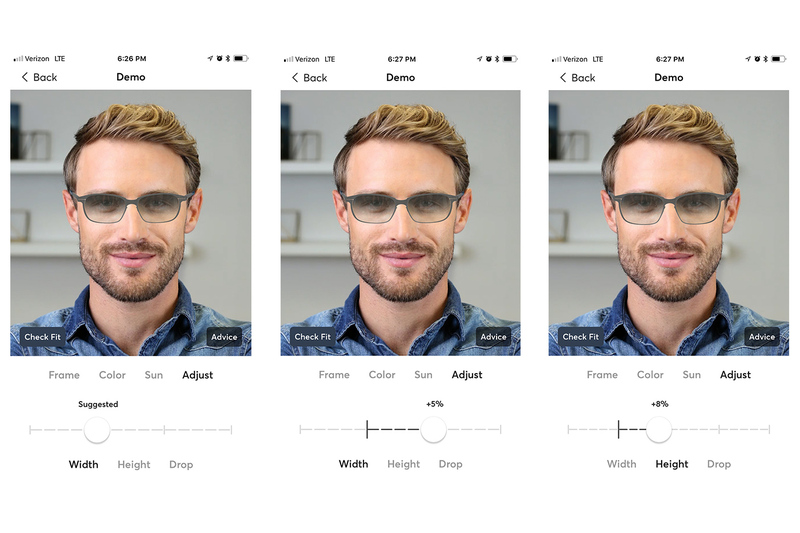 Left: Default eyeglass width based on centering eyes within lenses. Right: Bosting width suits Parker much better. 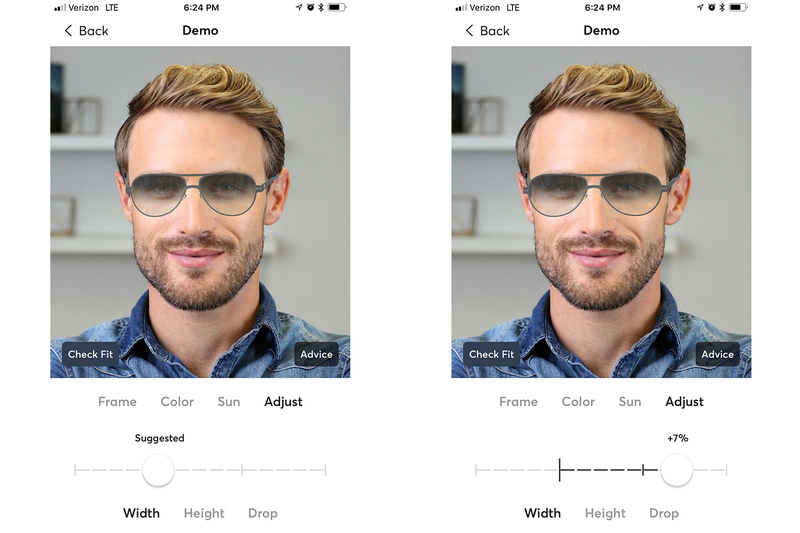 By default, the Topology app automatically sizes frames to you based on an eyeglasses aesthetic, which is typically smaller than you would want for sunglasses. 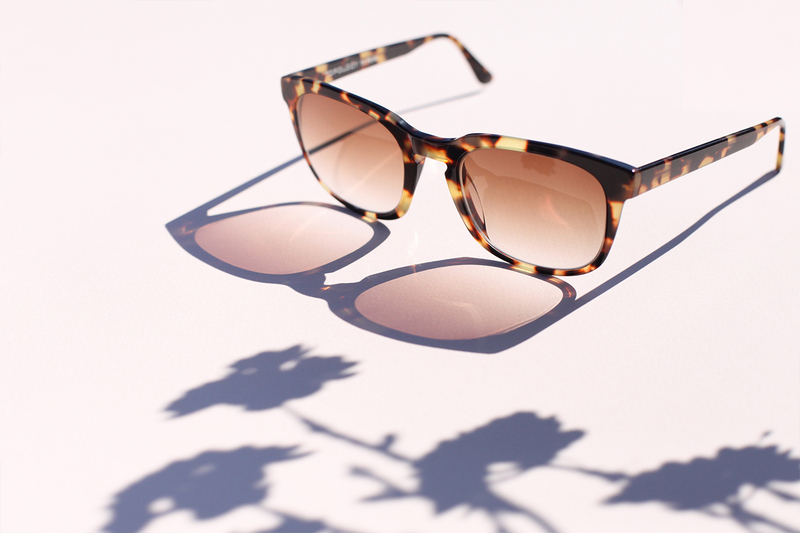 Therefore we recommend over-sizing and repositioning your frames for a perfect sunglasses aesthetic. Left: Ideal eye positioning for eyeglasses. Middle: decreased "drop" to raise glasses to brow. Right: A natural sunglasses look. Since the tint of the lens will hide your eye positioning, you don’t need to worry about centering your eyes horizontally within the lens. You can safely increase width for greater coverage, without worrying about the cross-eyed look. Left: Way too big for eyeglasses. Right: But perfect when tinted as sunglasses. 4. Special Advice For Styling Transition Sunglasses. As you will be wearing the glasses in both clear and tinted mode, it is important you check the look in both clear and tinted states! 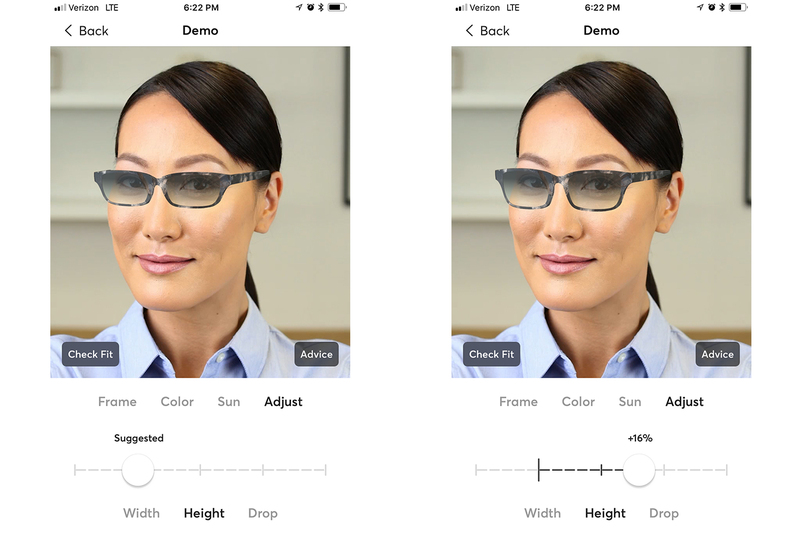 Use the Topology app to switch between clear and lenses to check that your eye is within the horizontal center third of the lens, and don’t make the glasses so wide as sunglasses that you look cross-eyed when lenses are clear. Remember: Transitions Don’t Work For Driving! Unfortunately the spectrum of light that is needed to activate the change to tinted in Transition frames is blocked by your car windscreen, so transition lenses remain clear inside the car. If driving is a key use case for you, we recommend separate prescription sunglasses instead. 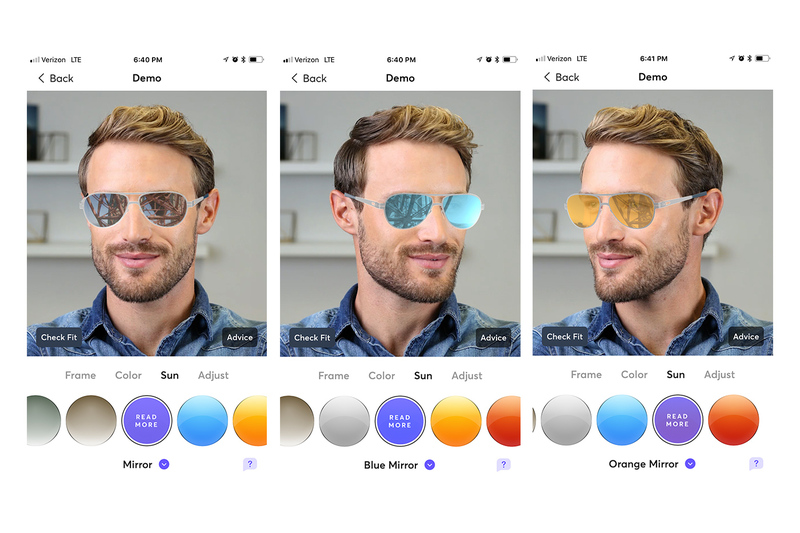 Good to Know: Transition Lenses Also Block Blue Light! If you spend a lot of time staring into a computer or smartphone screen, you may have heard of blue light blocking lenses, that reduce the harmful effects of the blue light spectrum. 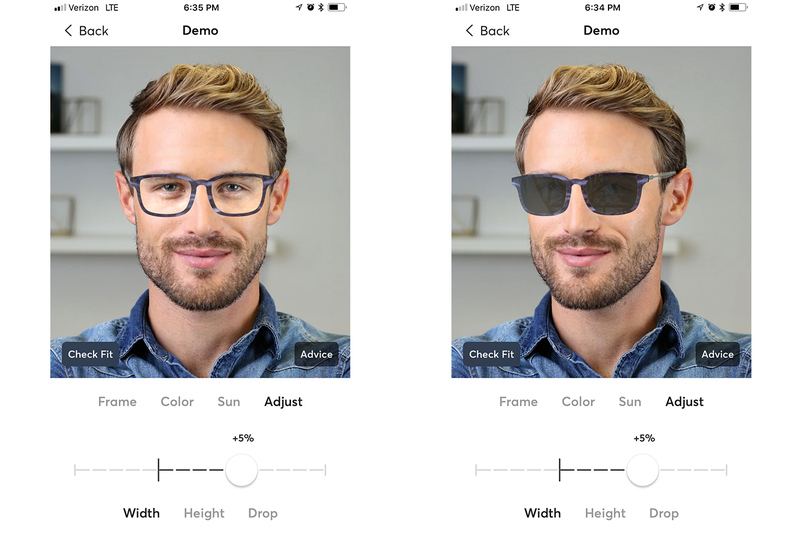 A little known fact is that Transition lenses also block this type of light even when clear, making them an excellent choice for heavy computer and phone users, which is, well, most of us! Jamie's Octavia in Crystal and Turtle with Brown Transition Progressive Lenses. 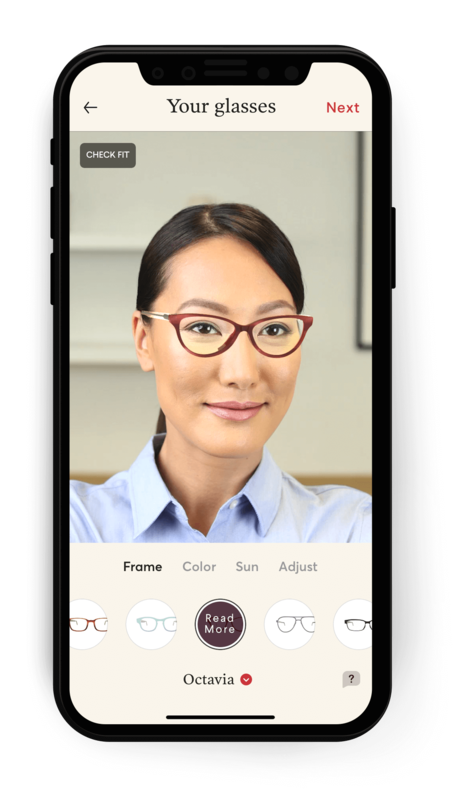 You can also choose any Topology frame and lens tint in your prescription, subject to the normal applicable cost of standard, bifocal or progressive lenses as needed. The larger you style your lenses, the thicker your lens may get. So you may want to adjust size to more closely match eyeglasses proportions. If you are not sure go ahead and style them as you want them to look, and we will always flag to you if we think the lenses might get thicker than you’ll like. Parker's Bay in Turtle with Brown Face Gradient Lenses. There are currently 30 color options for Acetate (Plastic) frames and 20 choices for steel frames. You can read more about choosing the best color for you on this previous blog post. The go-to classic sunglass option, this gives the wearer a warm, nostalgic view of the world. Left: Montgomery in Charcoal with Olive Lenses. Right: Montgomery in Charcoal with Brown Lenses. 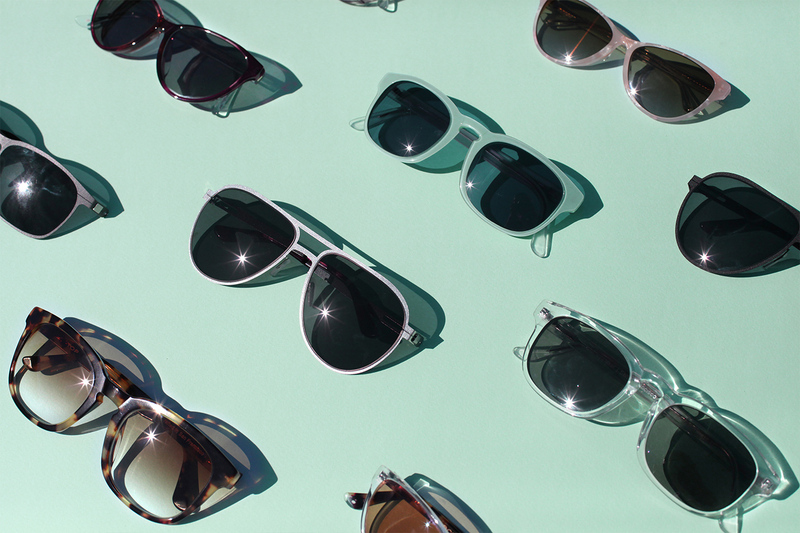 Although the idea of a greenish tint might sound strange, this is actually the most common color of tint used by some of the world’s most popular sunglass brands. Viewed by others the lens appears gray, and for the wearer colors are vibrant and distinct. Also known as “Gradients”, Fade tint lenses are available in Brown or Olive and from strong tint at top of lens, to clear at bottom. Left: Octavia in Pink Salt with Brown Fade Lenses. Right: Octavia in Fig with Olive Fade Lenses. For the more daring, we also offer mirror tints in silver, blue and orange. Check the app for new colors being added frequently. 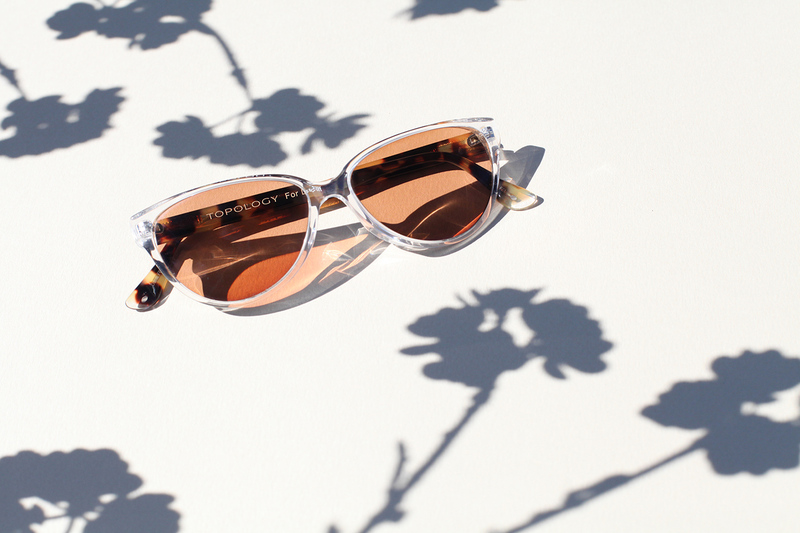 Left: Presidio in Silver with Mirror Lenses. Middle: Blue Mirror Lenses. Right: Orange Mirror Lenses. When light is reflected, for example by a wet road, car windscreen or surface of a lake, it becomes “scattered” in a way that creates unpleasant glare. 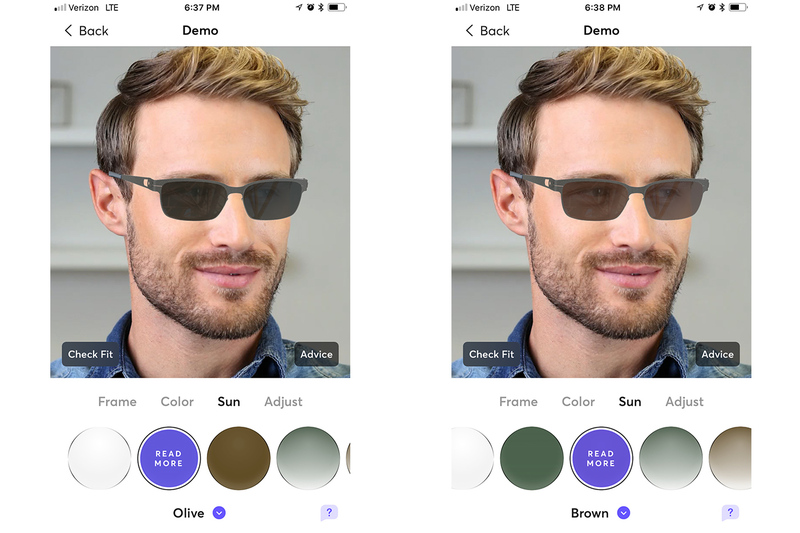 Polarized sunglass lenses filter out this light to improve visibility and comfort. Please Note: Polarized lenses can interfere with visibility of some screens, which make it more difficult to read laptops and smartphones outdoors in the sun. If you would like further help choosing the right design for you, you are welcome to book a free 15 minute consultation with one of our eyewear specialists. *$349 Custom Sunglasses includes frame and non-prescription lenses. Additional prices apply for prescription lenses, transition and polarized filters. See Topology App for detailed pricing.